With no wetted metals or external fasteners, Â½ in. 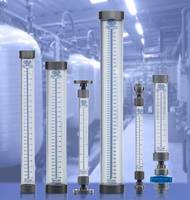 Series BSR is designed for high-purity or corrosive environments. 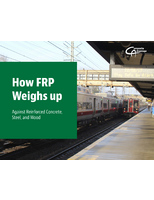 Backpressure can be as high as inlet pressure without affecting performance. Diaphragm style valves use compressed air for operation and will close in event of pressure loss. 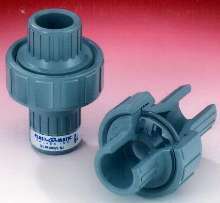 Valve bodies are unpigmented polypropylene or grade 1, type 1 PVC. Internal metal springs are isolated from process liquid by Viton or EPDM redundant seals. 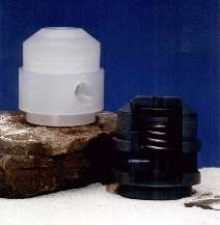 Cedar Grove, New Jersey: Plast-O-Matic Valves, Inc. has introduced a 1/2" size air operated shut-off valve with no wetted metals or external fasteners for high-purity or corrosive environments. 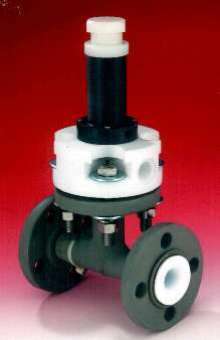 These "balanced," compact valves are designed for liquid service ranging from full vacuum to pressures up to 150 psi. The balanced aspect means that the valve outlet pressure, commonly known as backpressure, can be as high as the inlet pressure without affecting performance. Typical diaphragm style shut-off valves require a pressure differential to close properly. Series BSR uses compressed air for operation, and will automatically close "fail safe" in the event of air pressure loss. 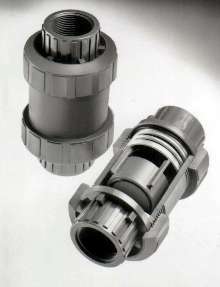 Because the valve is assembled by threading the body and air chamber together, it has no fasteners or any other metals exposed to the atmosphere. 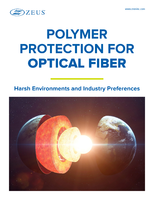 This is suited both to cleanrooms and highly corrosive environments. The internal metal springs are isolated from process liquid by redundant seals, either Viton or EPDM. 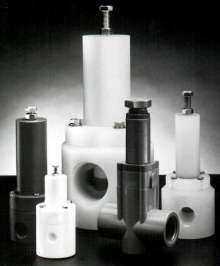 Valve body materials are natural unpigmented polypropylene or grade 1, type 1 PVC.